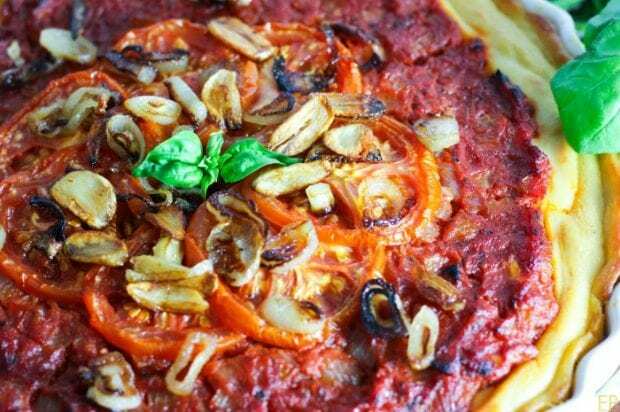 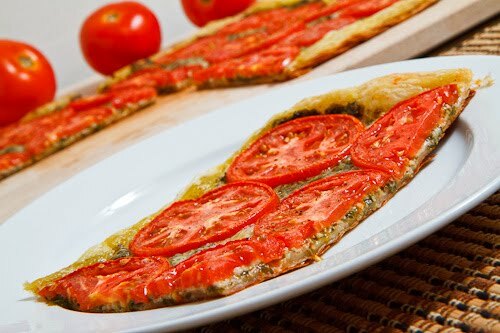 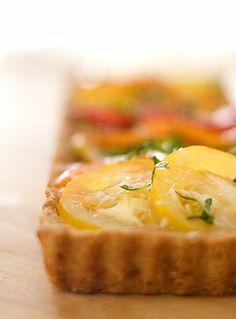 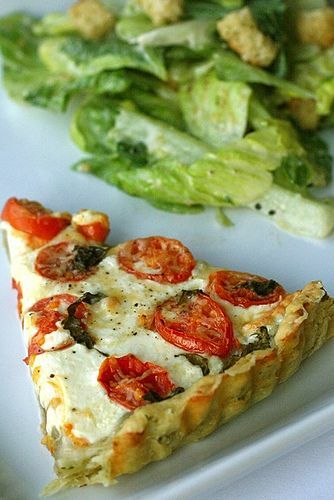 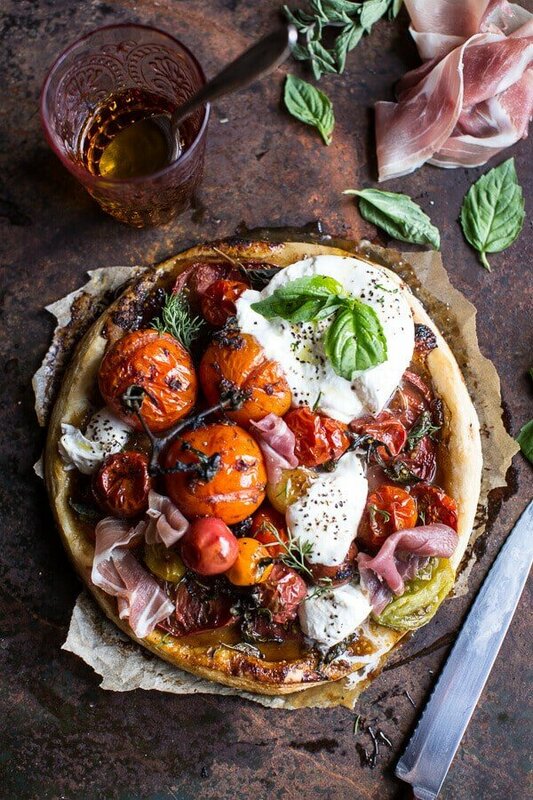 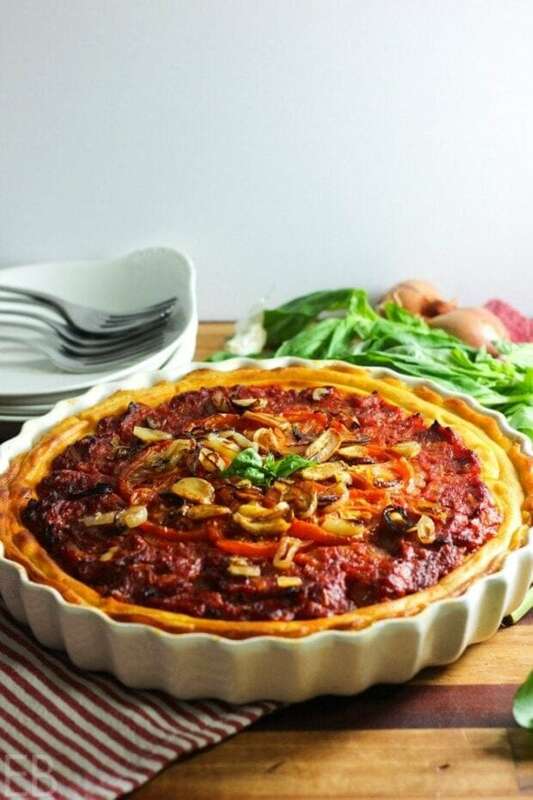 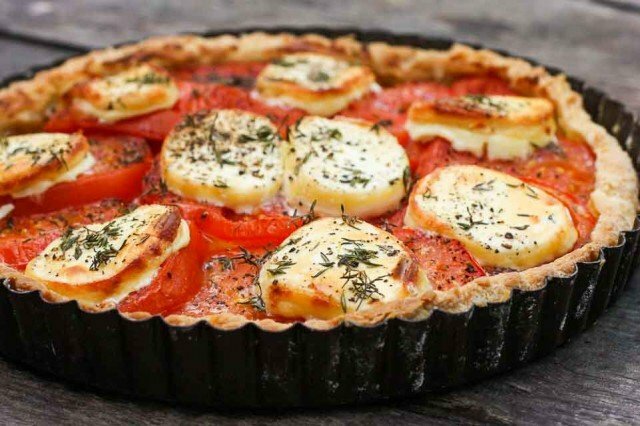 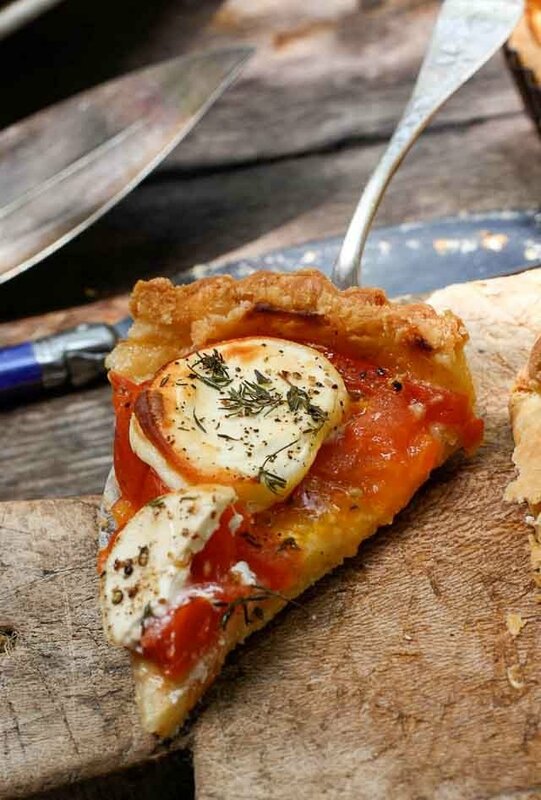 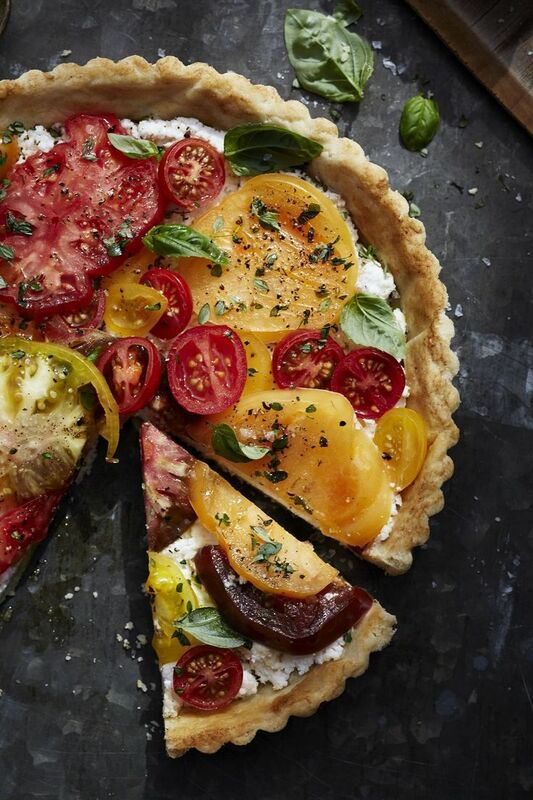 tomato mozzarella basil tart. 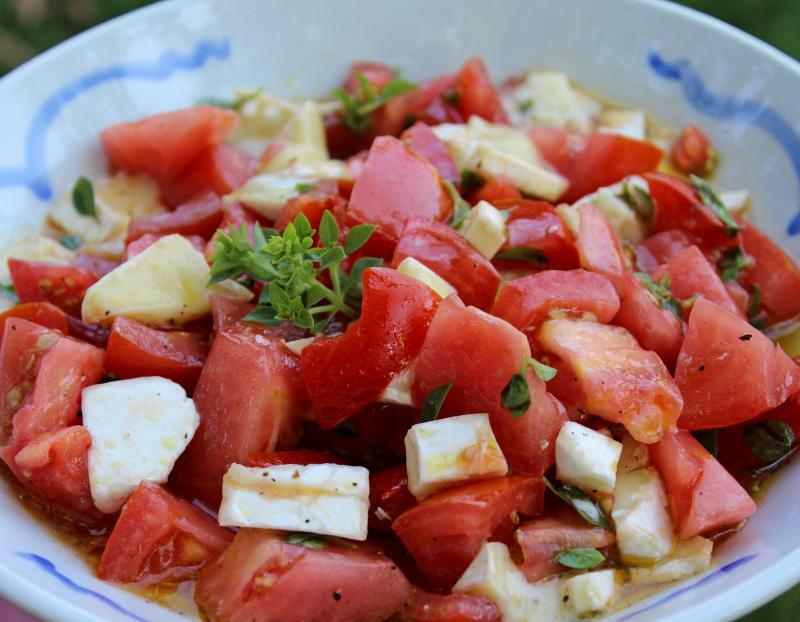 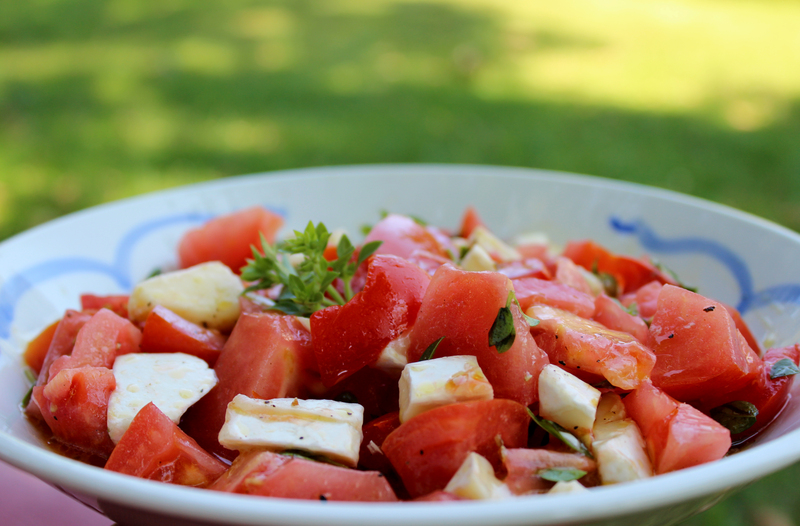 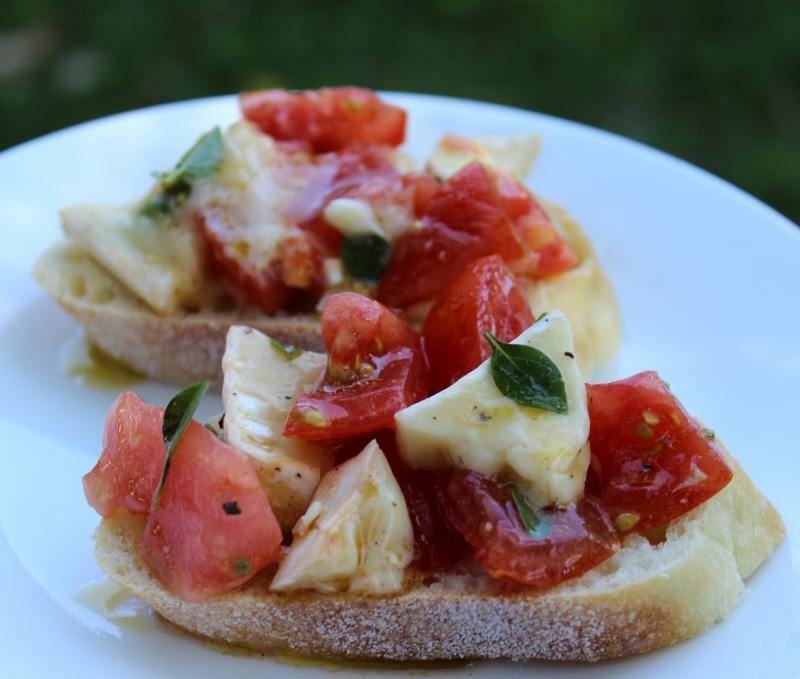 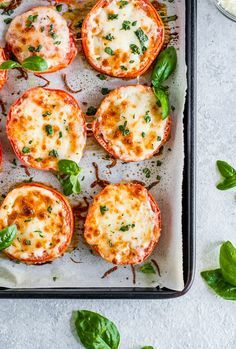 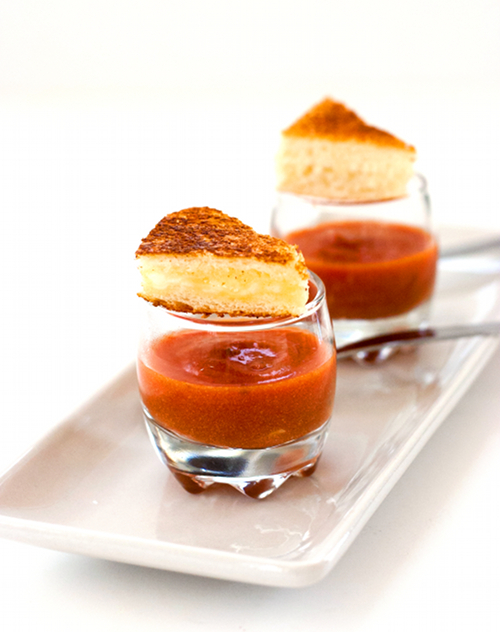 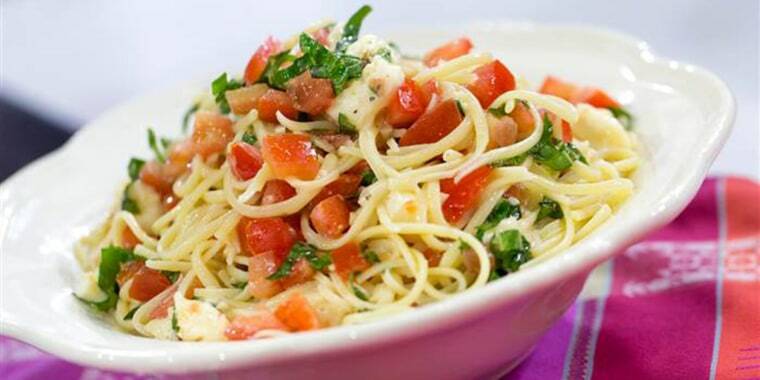 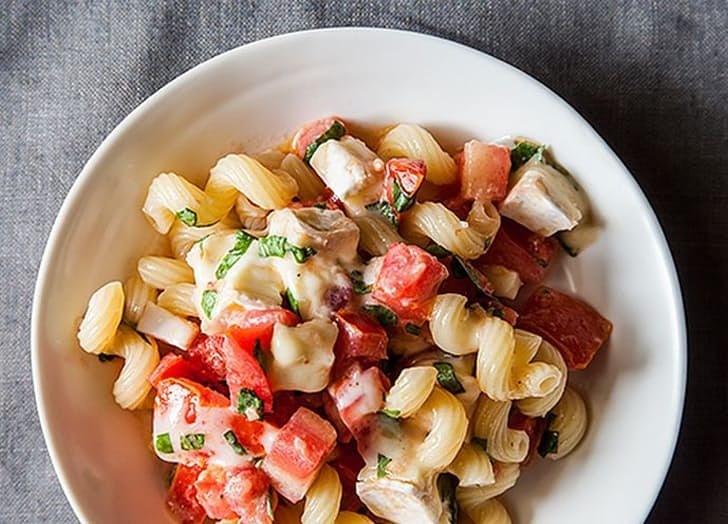 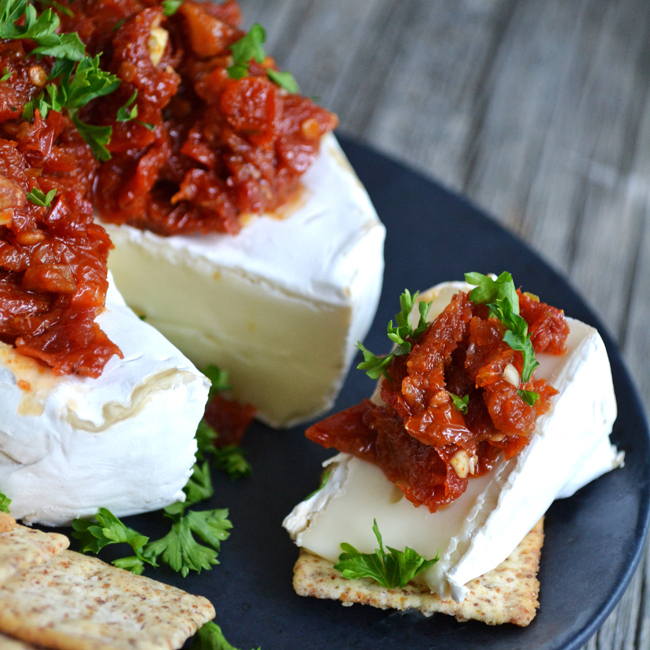 God made the tomato to go with the basil, then he made mozzarella to melt on them. 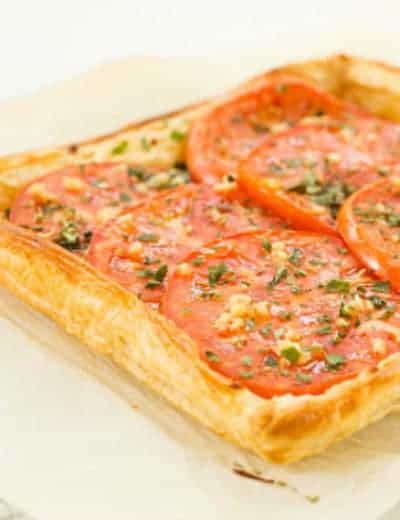 And He was glad...and so am I! 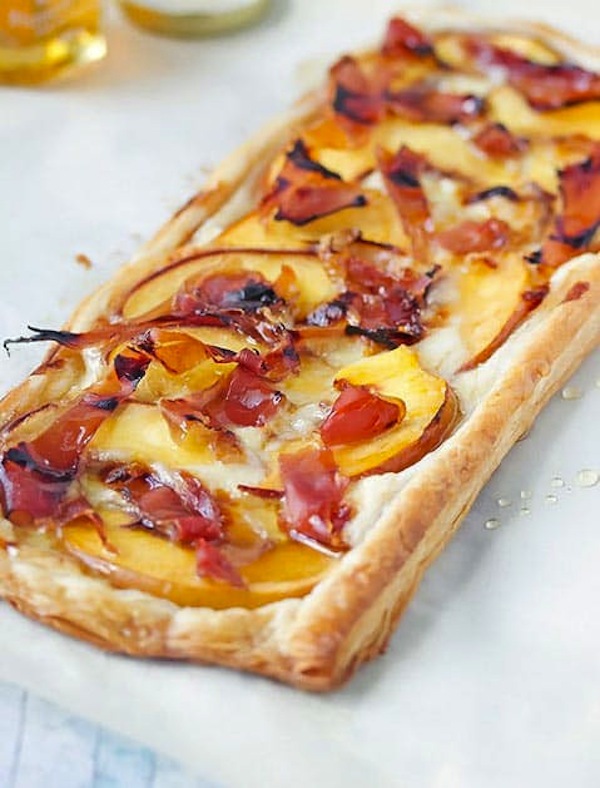 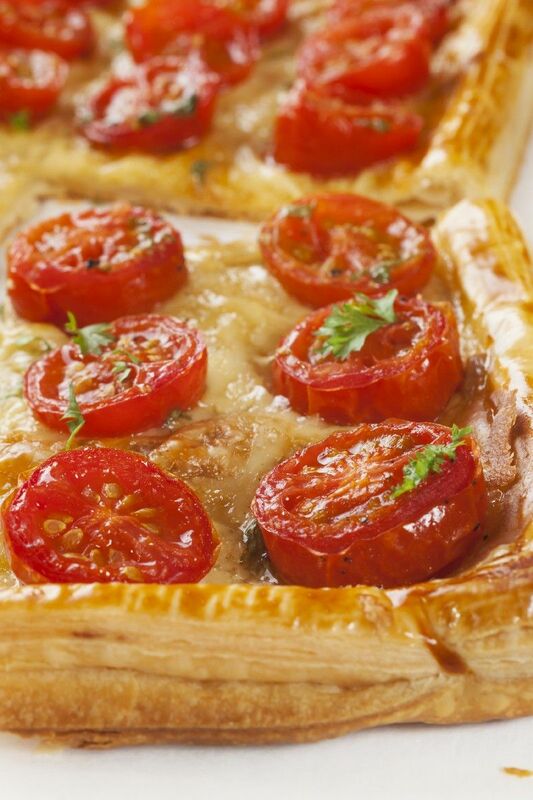 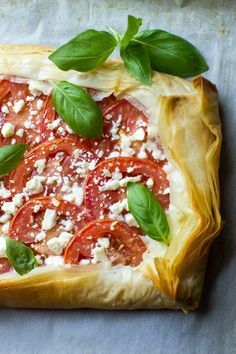 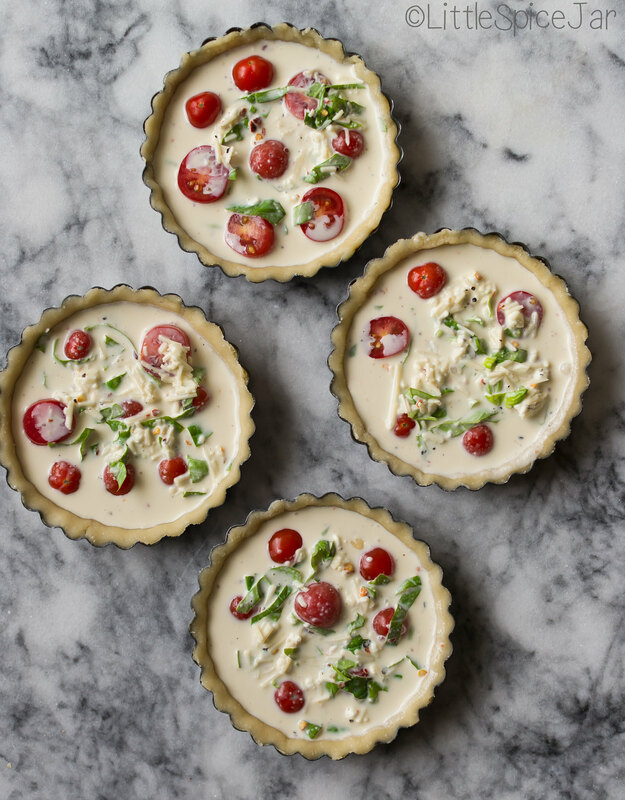 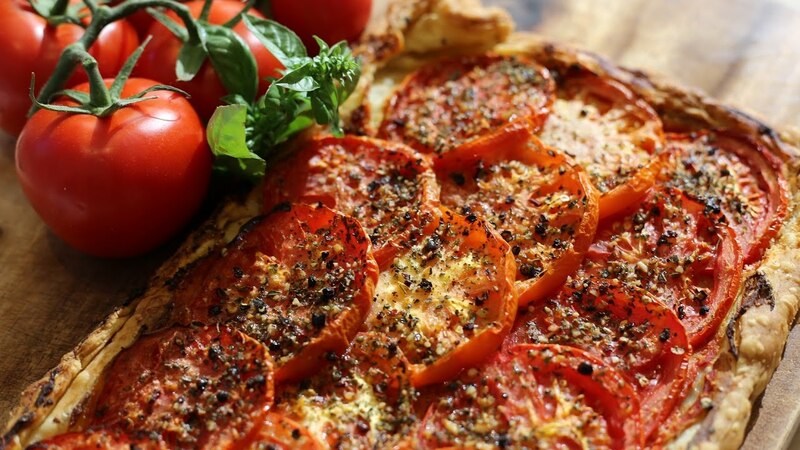 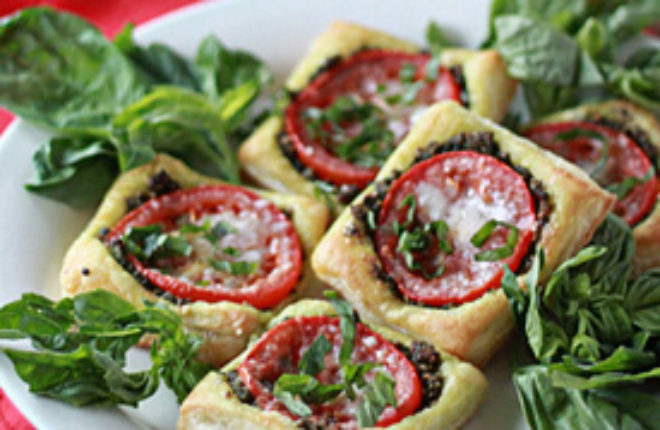 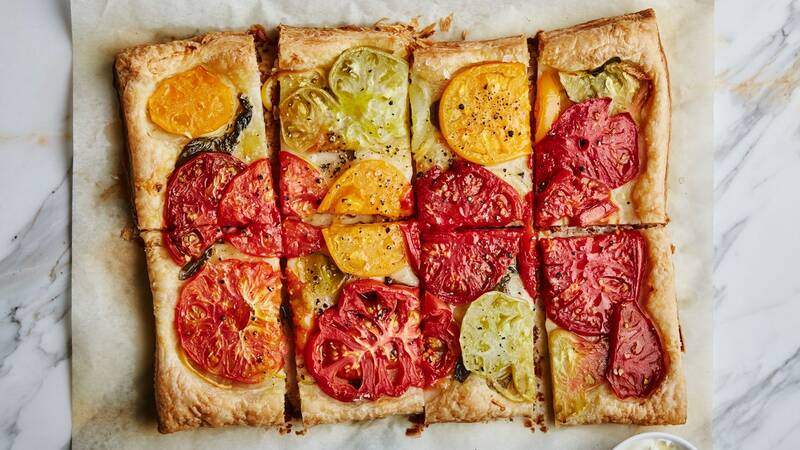 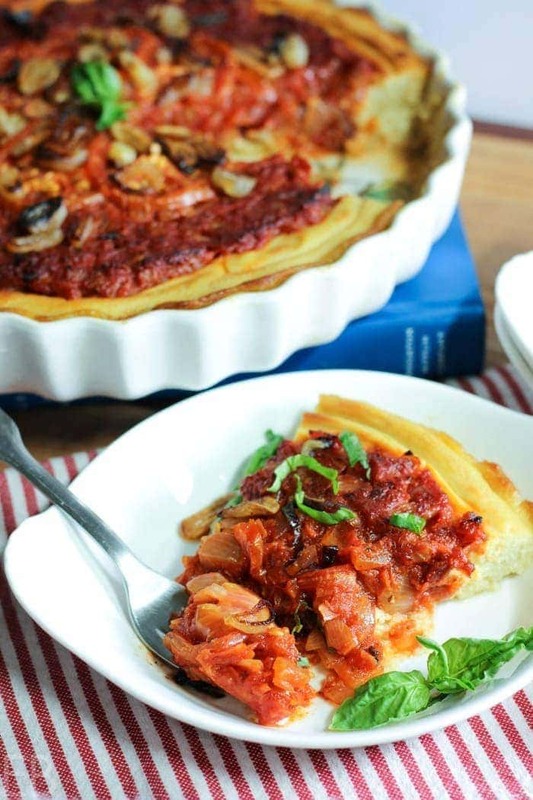 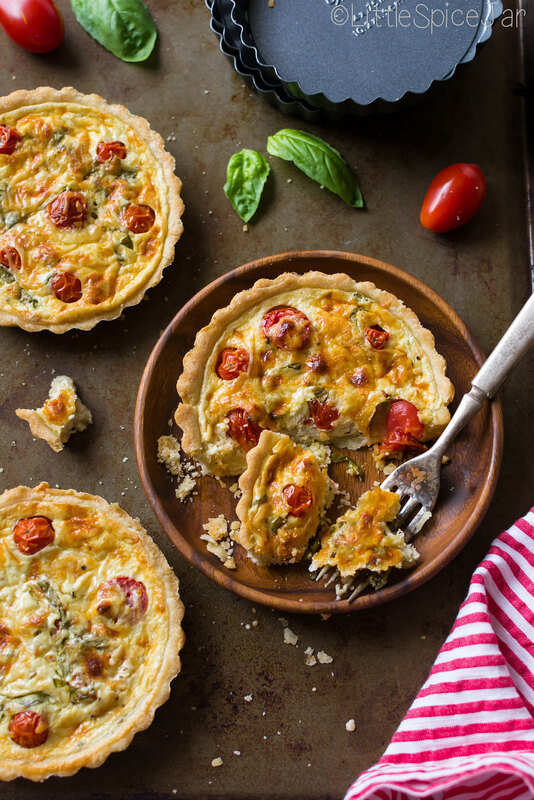 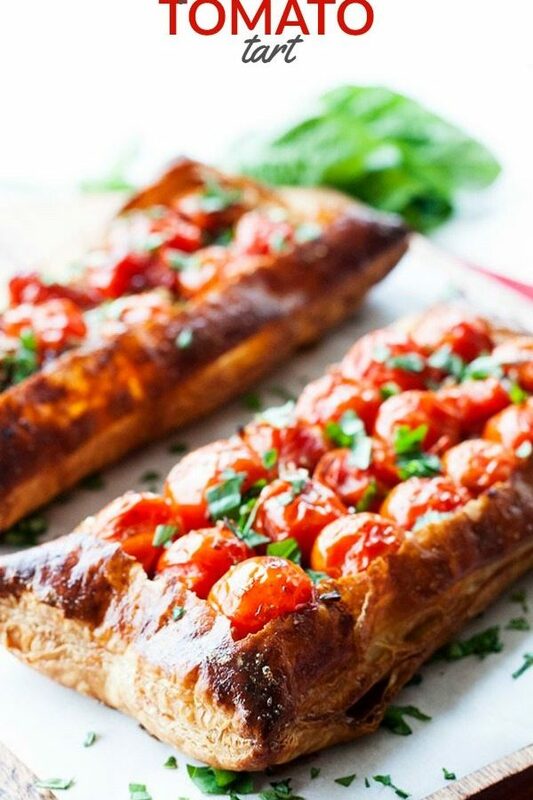 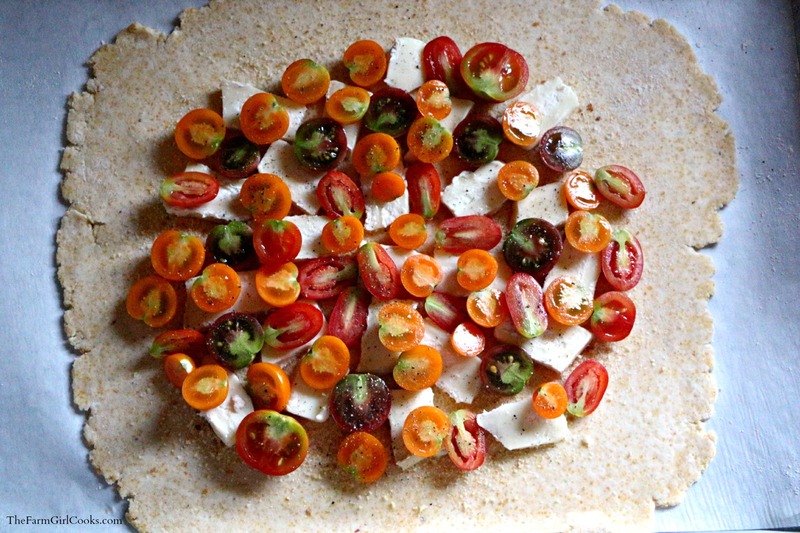 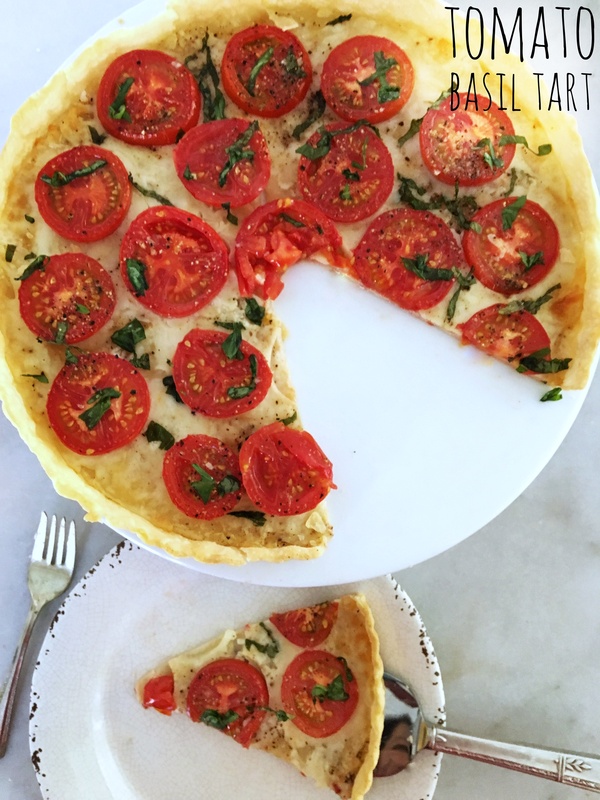 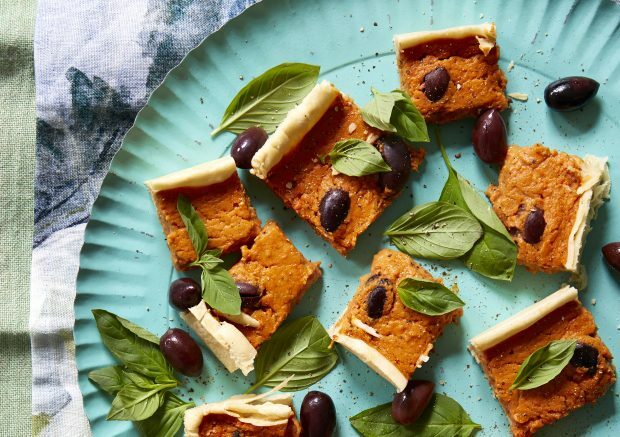 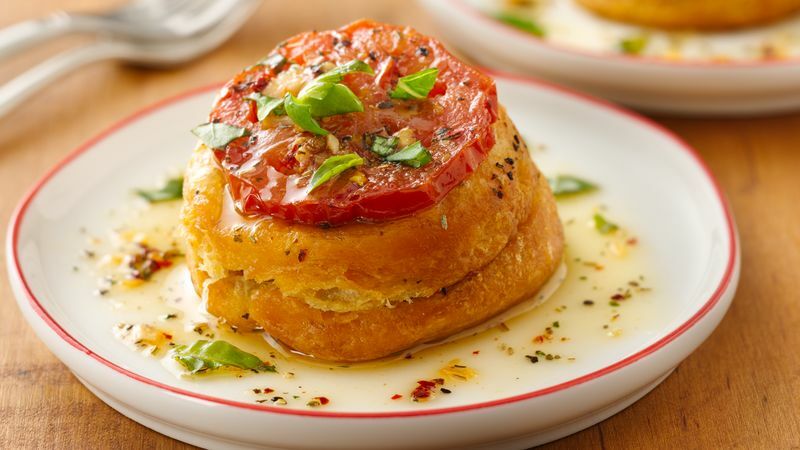 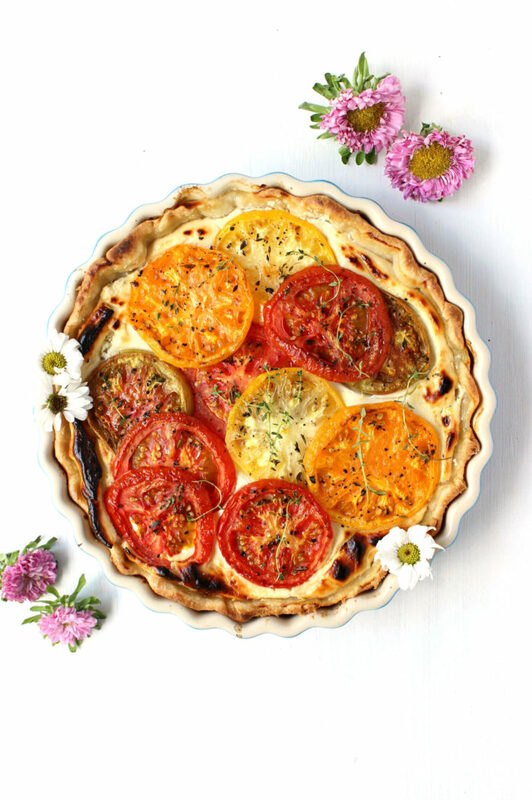 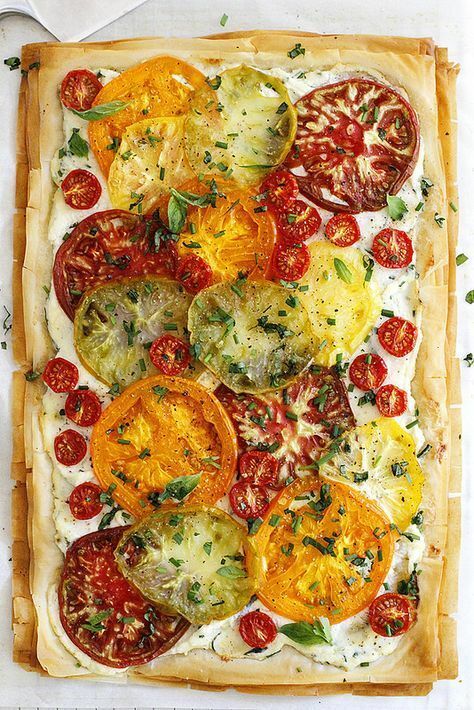 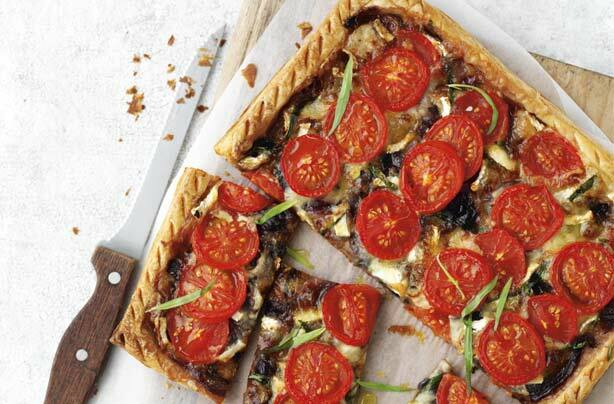 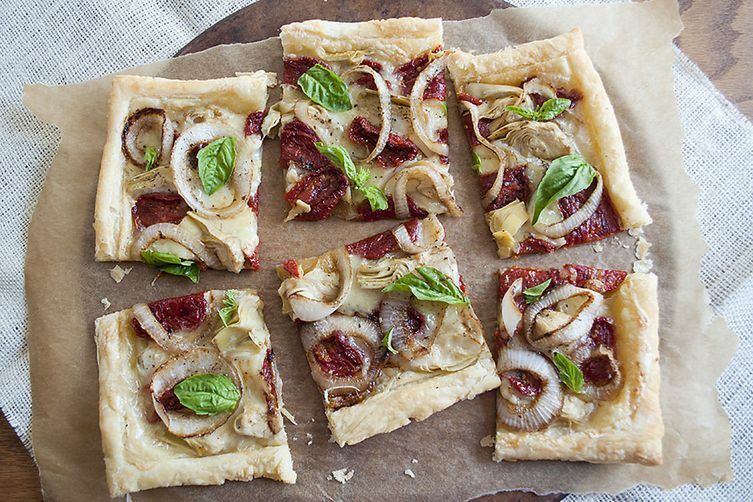 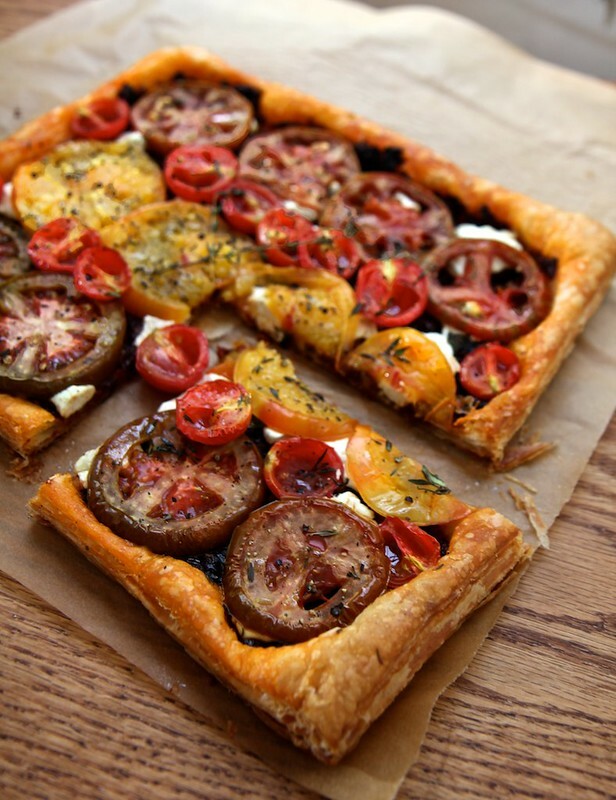 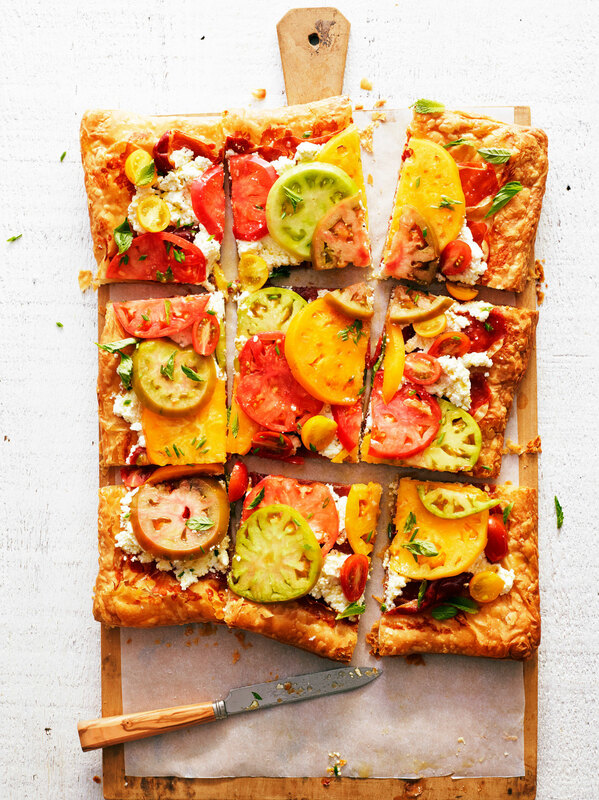 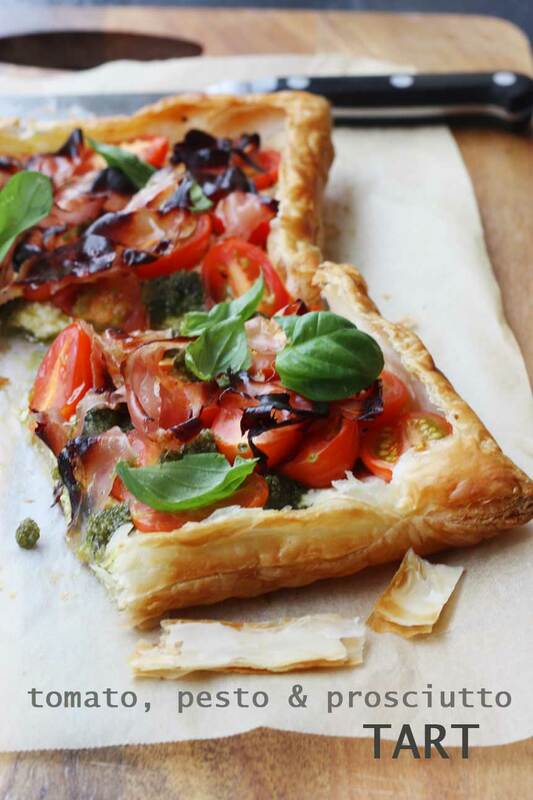 This Tomato Basil Mozzarella Puff Pastry Tart recipe is an easy, Summer-y and savory meal to make. 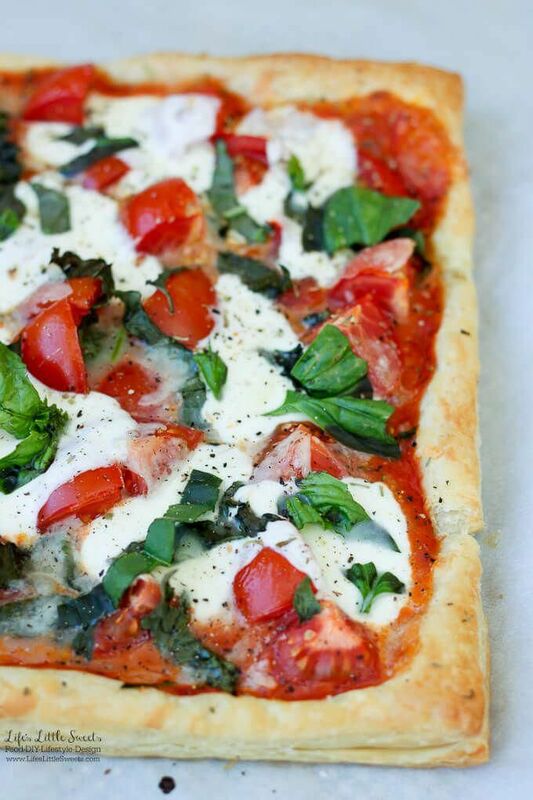 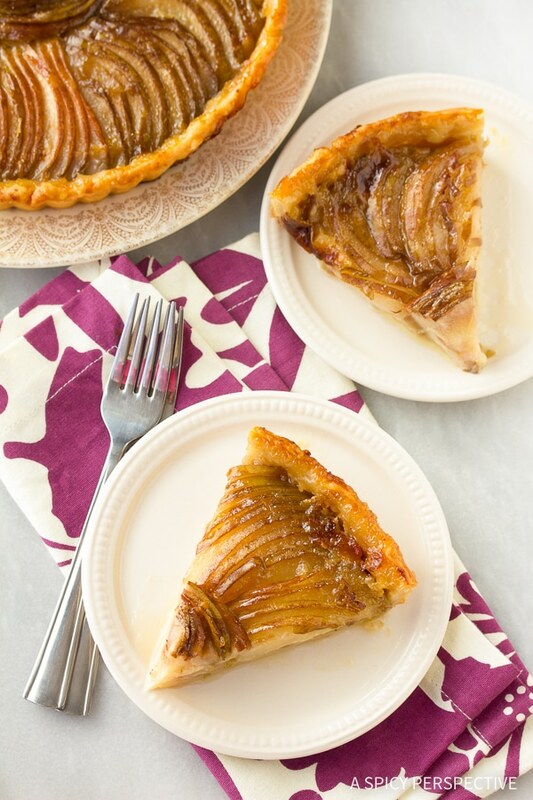 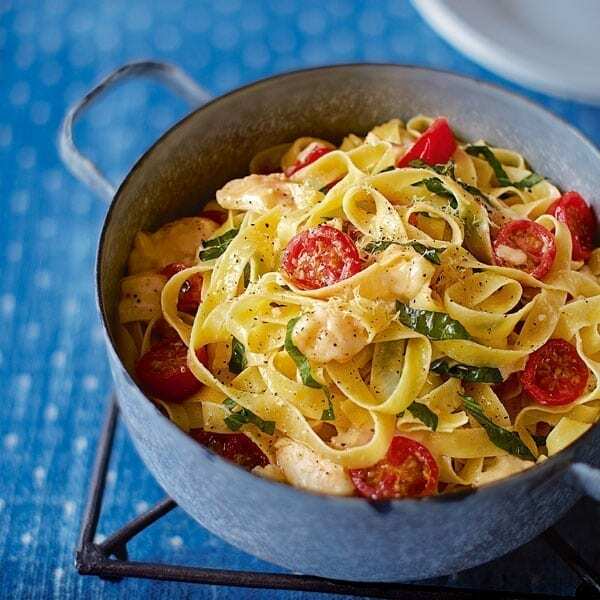 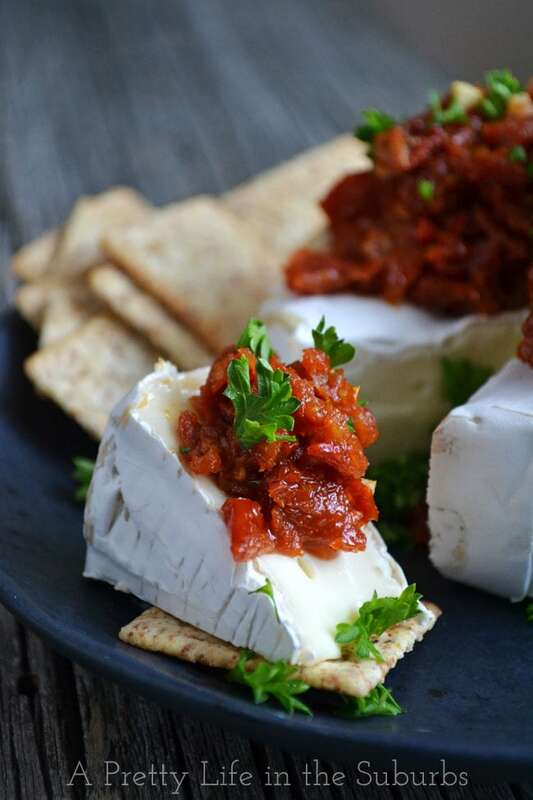 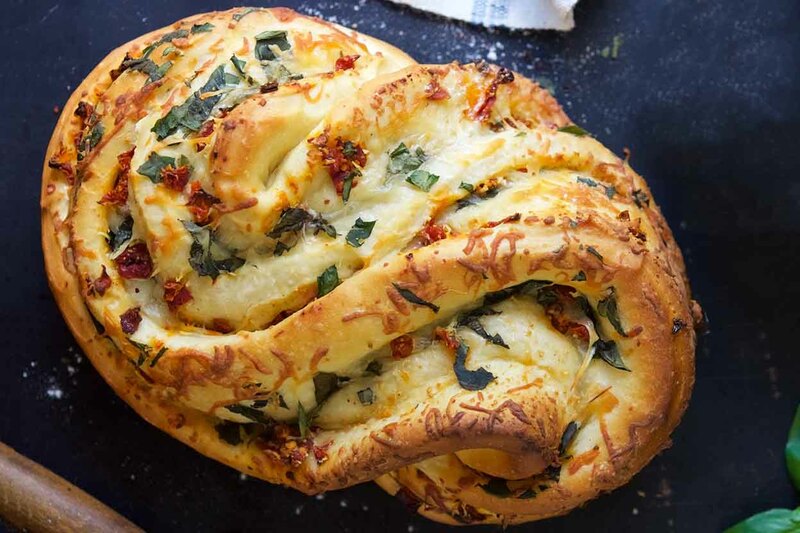 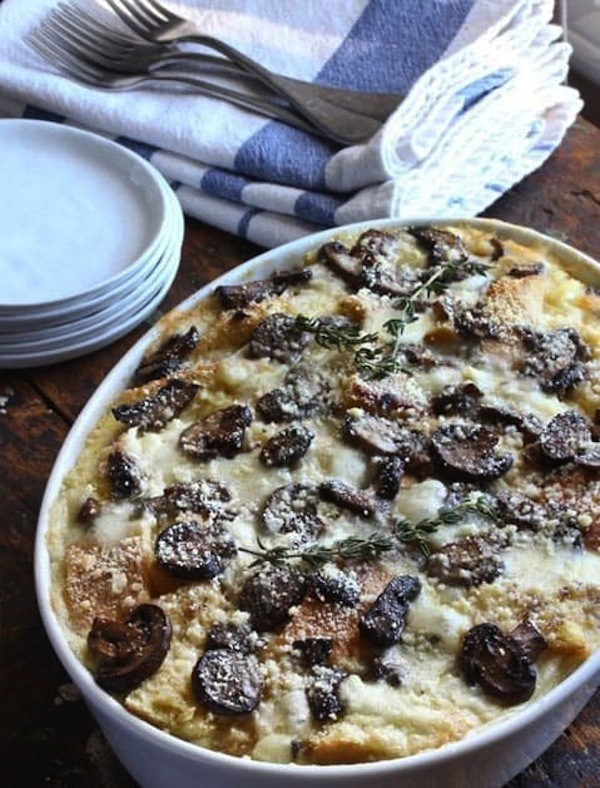 No pizza dough making required! 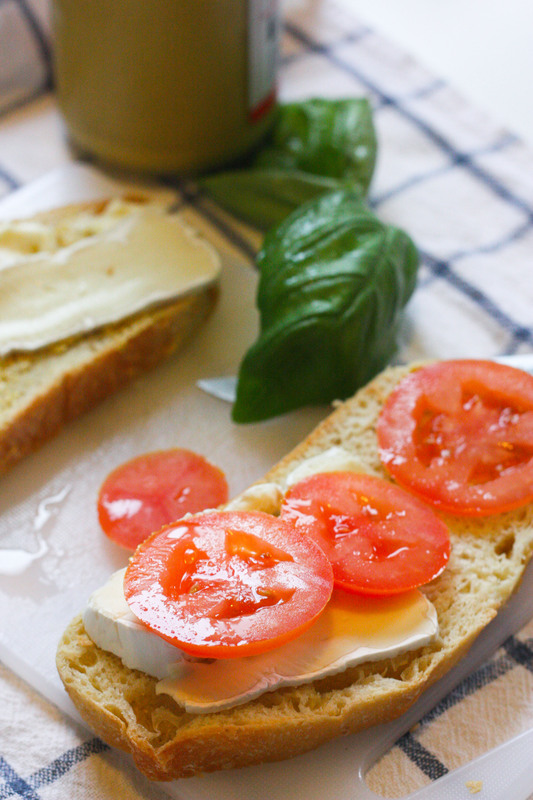 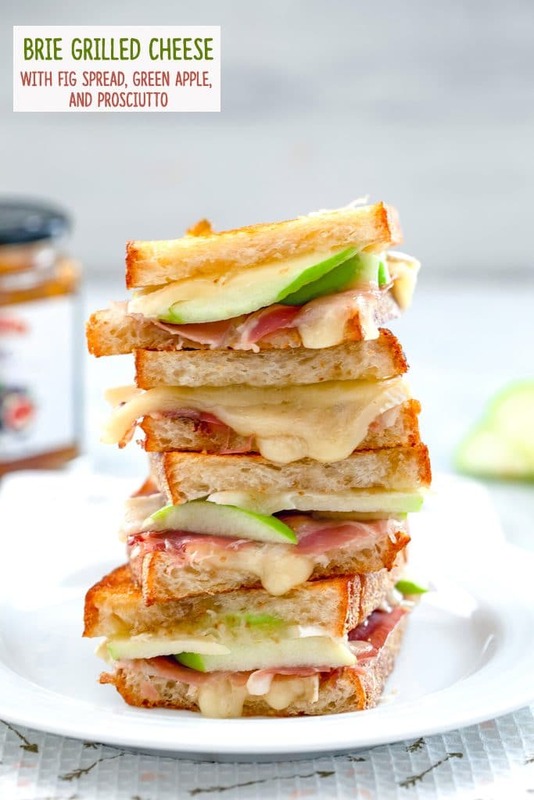 #BuonAppetito! 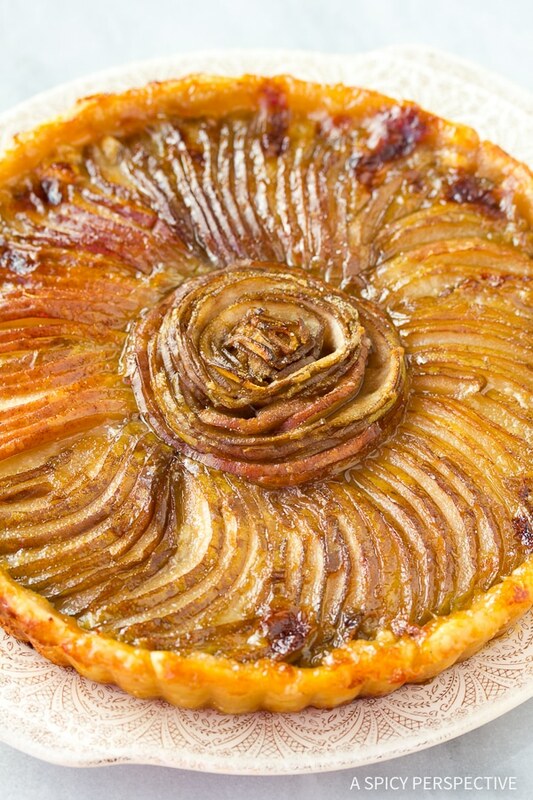 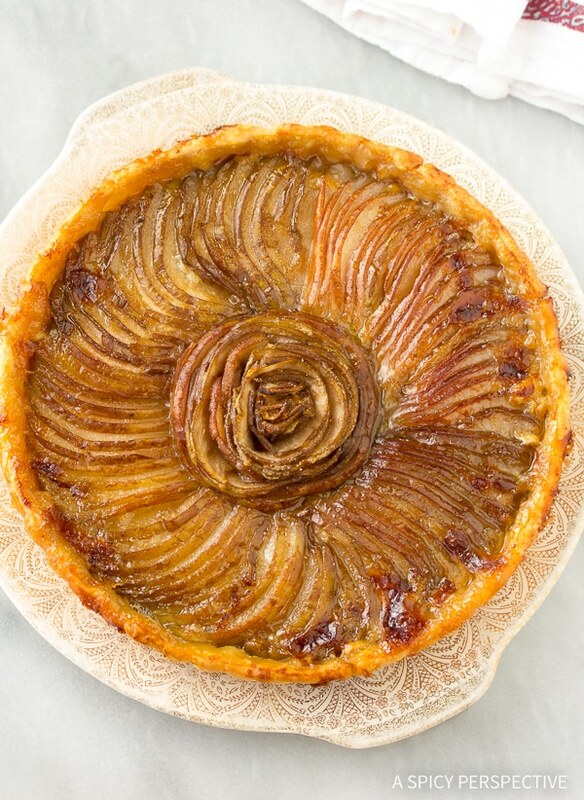 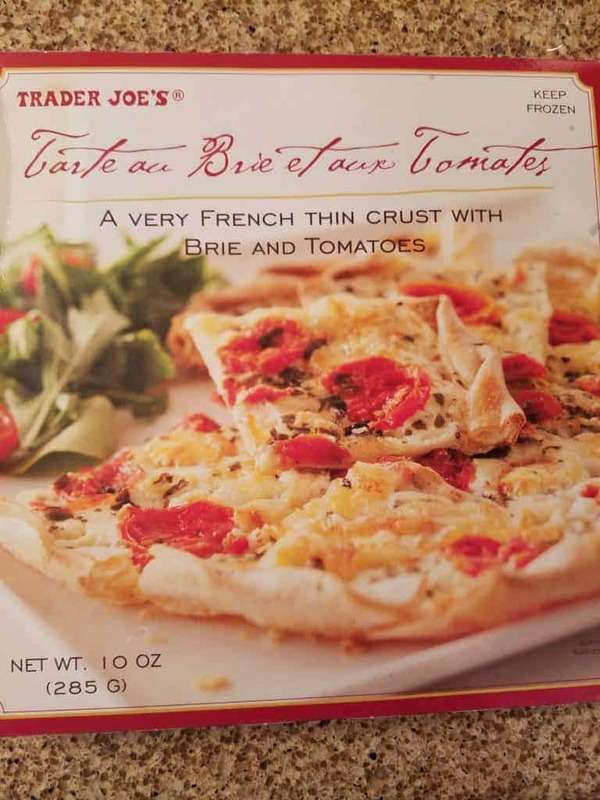 Speaking of cheese, this delicious tart came to fruition because all that remained off of a wedge of brie were a few lonely slices. 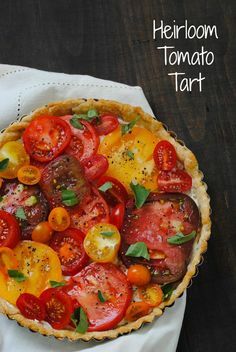 The only thing I bought special were some lovely grape tomatoes. 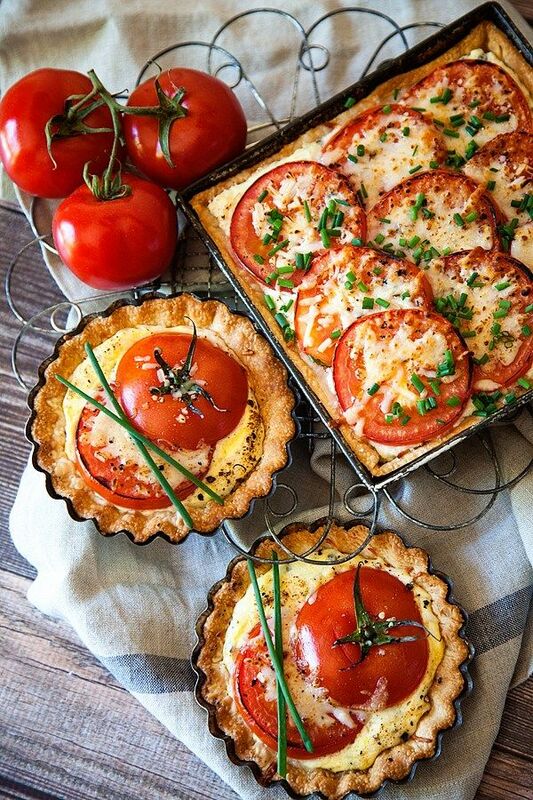 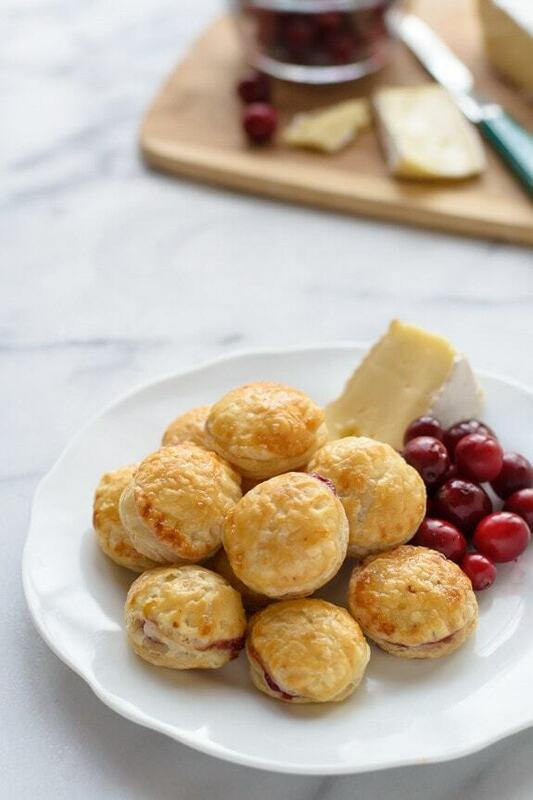 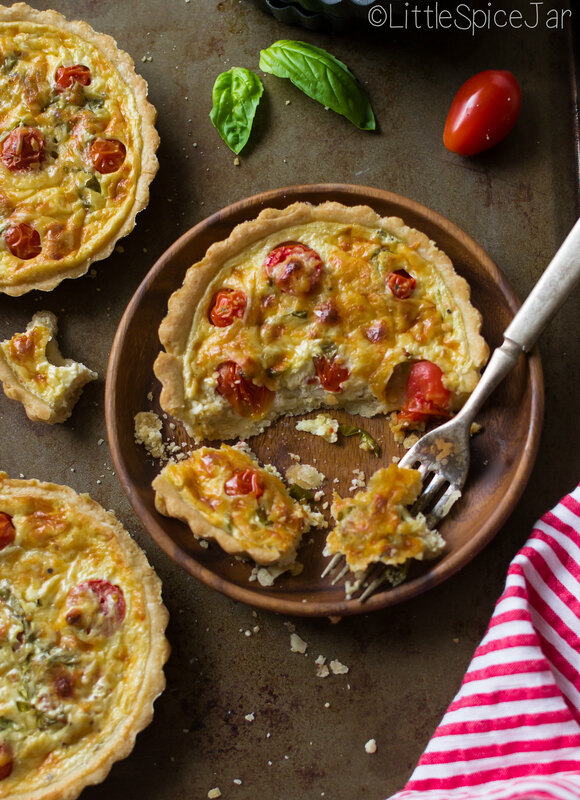 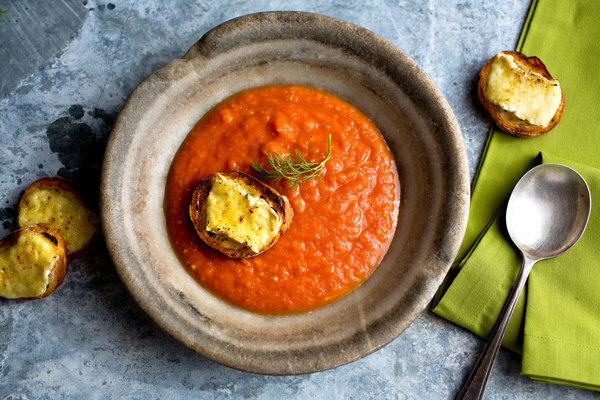 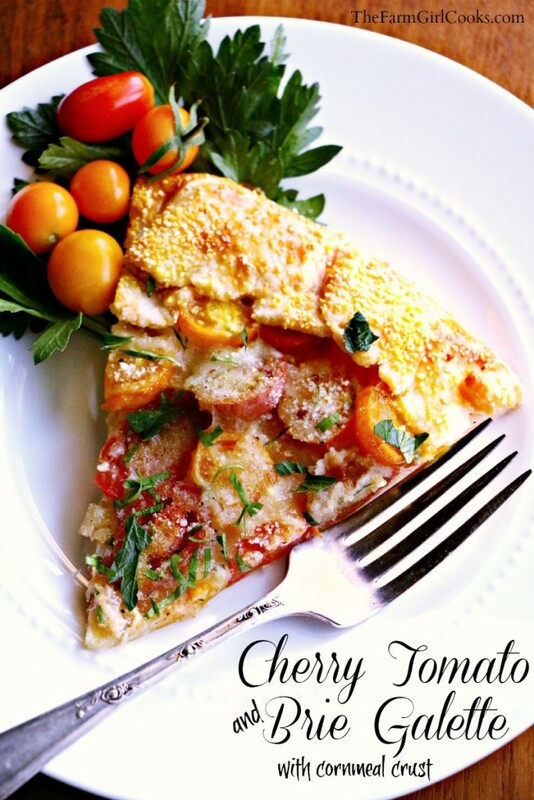 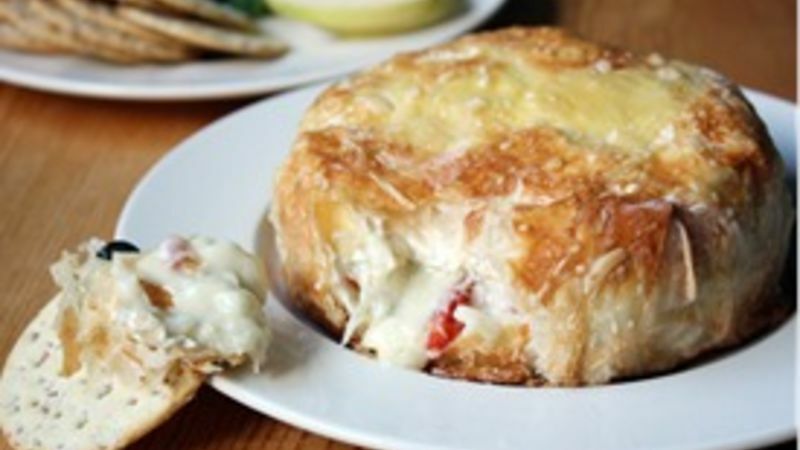 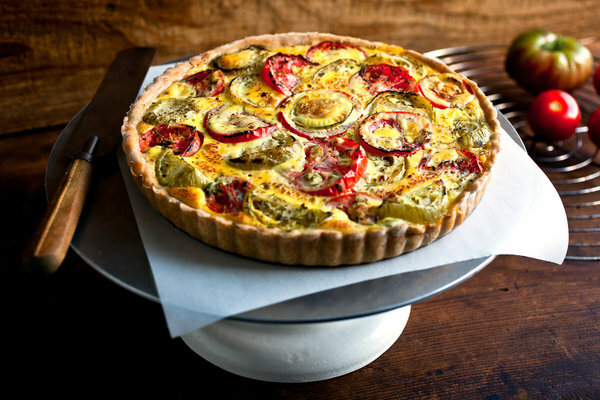 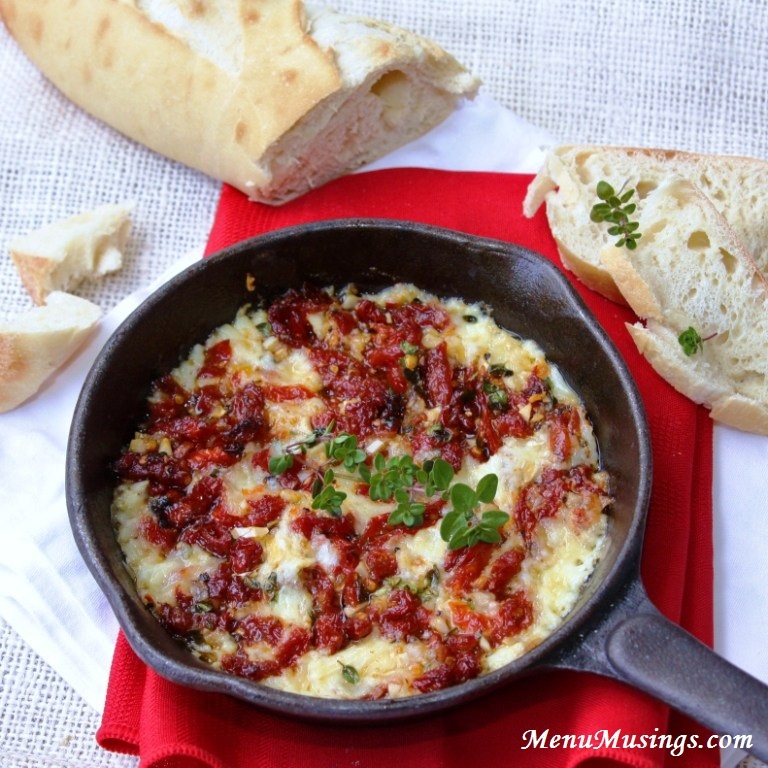 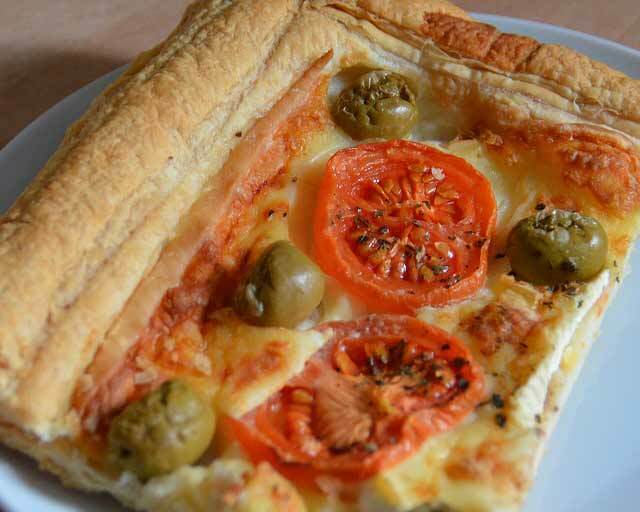 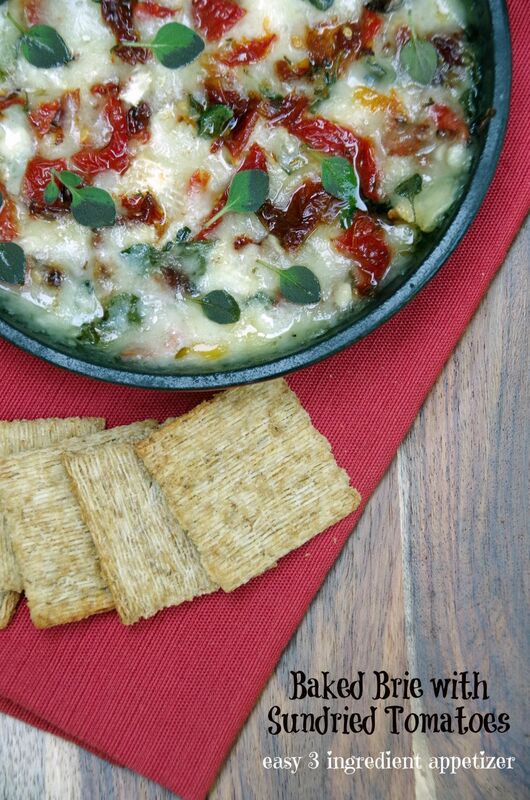 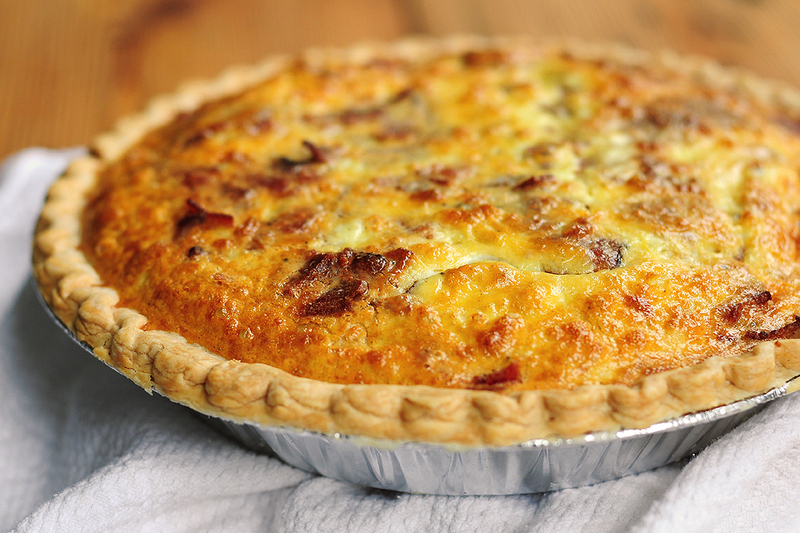 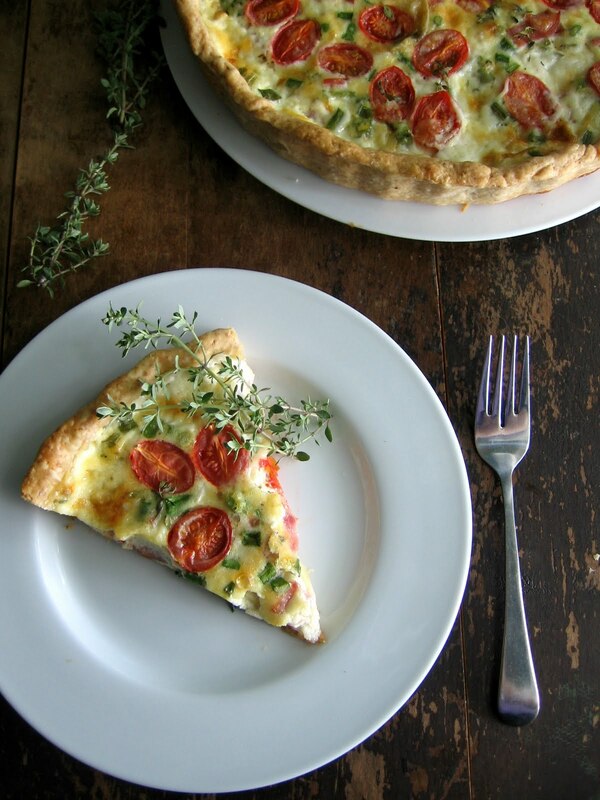 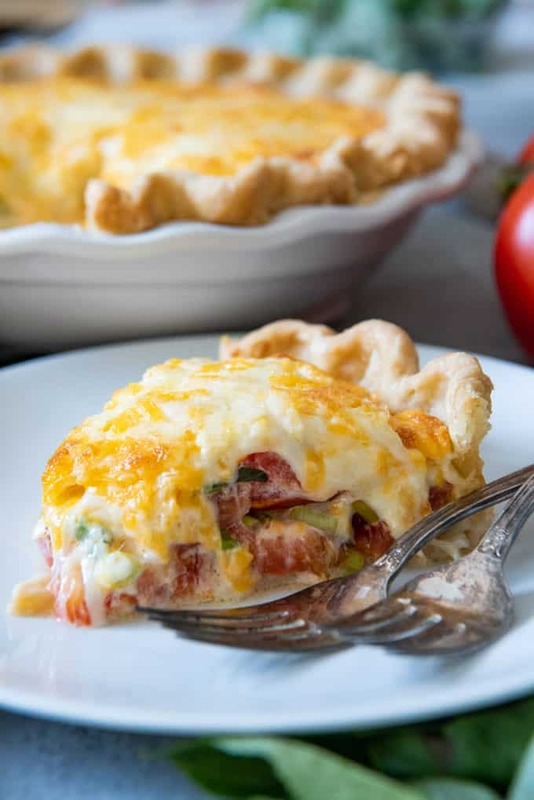 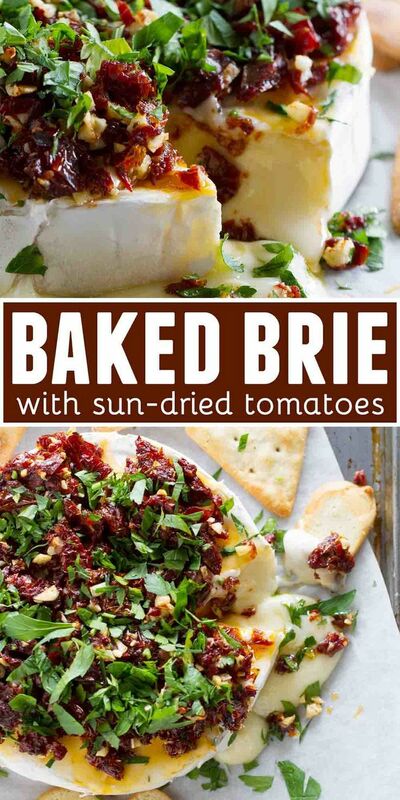 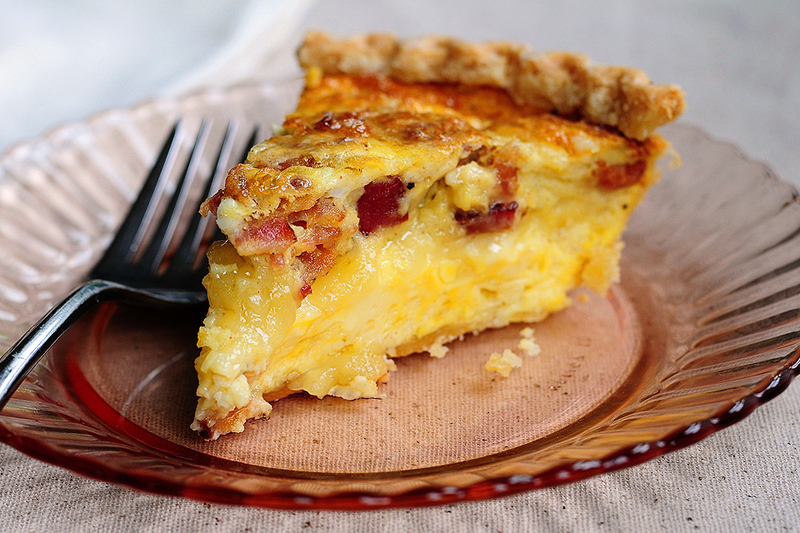 I love eggs and tomatoes, especially in a warm buttery crust with all of that brie.